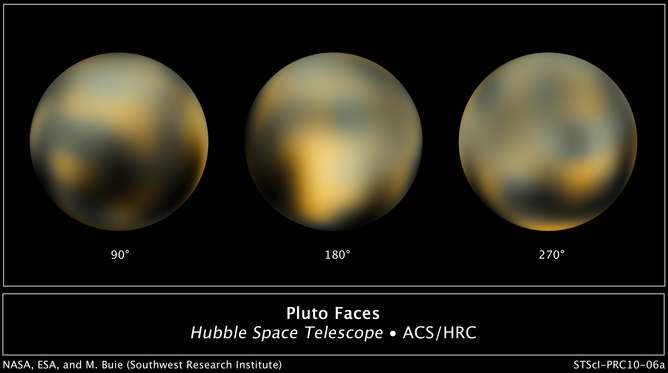 Images of Pluto generated with the Hubble Space Telescope and advanced computers. 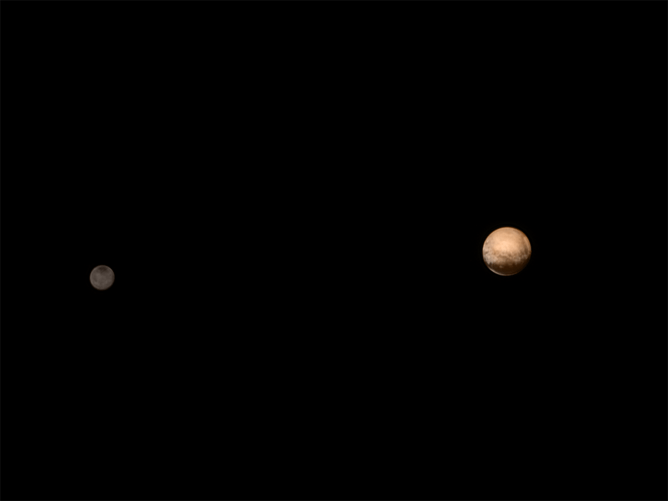 Image of Pluto and its moon Charon, taken with New Horizons. 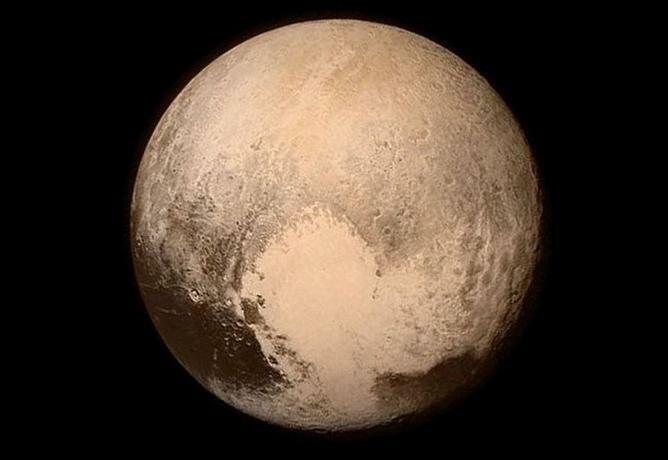 Following a long day of waiting, mission scientists got their reward just before 01:00 (UT), when the signal transmitted from the New Horizons spacecraft about four hours earlier was received at mission control. Cheers were heard from the team as Alice Bowman, the Mission Control Manager announced “we have telemetry lock”. This translates as “the spacecraft has called up, we have answered the phone, and we can hear what New Horizons is saying”. More cheers as each sub-system reported in: “thermal systems nominal”; “propulsion systems nominal”. Monica Grady is Professor of Planetary and Space Sciences at The Open University.